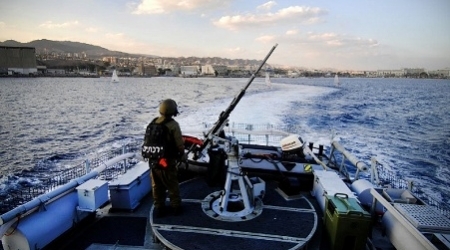 Gaza, ALRAY - Israeli occupation navy shot on Palestinian fishermen's boats off Gaza south shores. Some witnesses said that the occupation's boats attacked the fishermen's boats while they were in the allowed fishing zone in Khan Younis and Rafah in the south of Gaza Strip. Locals said also mentioned that the fishermen had retreated towards the shore fearing their life.